On 10 May 2018, the Secretary of State for Transport approved a development consent order (DCO) for the Silvertown Tunnel project, which went through the Nationally Significant Infrastructure Project (NSIP) system. The Silvertown DCO authorises a road tunnel to be constructed under the River Thames in East London. 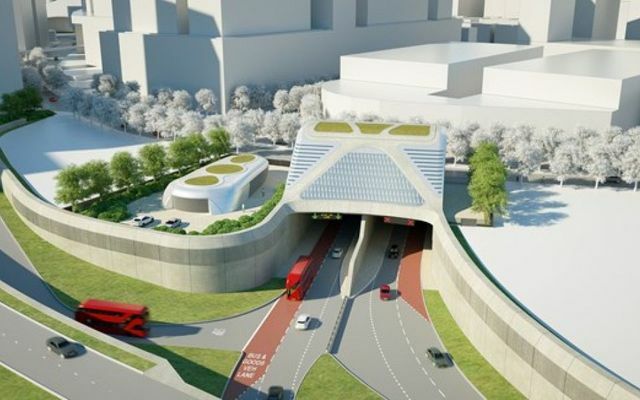 It will provide a new connection between the A102 Blackwall Tunnel approach on the Greenwich Peninsula in the Royal Borough of Greenwich and the Tidal Basin roundabout junction on the A1020 Lower Lea Crossing/Silvertown Way in the London Borough of Newham. The main purpose of the new tunnel is to relieve traffic congestion and improve reliability at the existing Blackwall Tunnel by providing an alternative river crossing route between the Royal Docks and Lower Lea Valley area and Greenwich Peninsula. Tolls will be charged. The application was made by TfL. It was accepted for examination on 31 May 2016 and the examination was completed on 11 April 2017. The Examining Authority's report was issued on 11 July 2017, which meant a decision by the Secretary of State was expected in October 2017. However, the decision was delayed twice, first in October 2017 and then November 2017, to take into account the government’s plan for tackling roadside nitrogen dioxide. A number of concerns were raised about air quality, but the Secretary of State agreed with the Planning Inspectorate that the impact of the construction stage on air quality, such as dust emissions and odours, would be kept to a minimum through implementation of the Code of Construction Practice. There is now a 6-week period within which the Secretary of State's decision to grant the DCO can be challenged.